Berlin was recently rated the number one investment market by ULI and PWC. Schroders anticipated this trend three years ago, and secured a number of mis-priced investment opportunities across the capital. 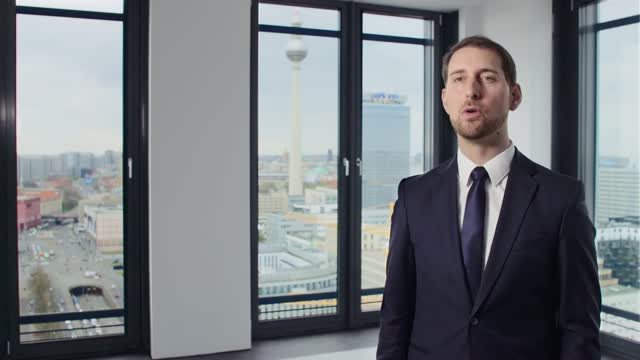 Sascha Harms, Head of Real Estate Investment Germany, opens the doors to two such assets. Join Schroder's ESG Team for this new webinar series aimed at bringing you the Team's latest research highlights. This session, we will present the findings from our Global Investor Study related to ESG, including which counties and demographics are most engaged, and what challenges does this create for investors. Next, we will turn to our recent Global ESG engagement activity and run through our recent research on US Corporate Governance trends, with insights into our pre 2017 AGM season engagement topics. Finally, we will discuss our cutting-edge research on the Emerging Markets where we have been doing some focused work engaging on bribery and corruption. Please join Tom Wilson of the Schroders EME team as he examines the latest trends and market events impacting the Emerging Markets. Register for Schroders Live on Wednesday 28 September, with Senior European Economist and Strategist Azad Zangana and Fund Manager Remi Olu-Pitan as they discuss recent macroeconomic challenges in a panel discussion hosted by Bloomberg’s Manus Cranny. Special guest host joined on the panel by Schroders’ Group Chief Executive Officer, Economist, UK and European Fund Managers. Join us for an exclusive episode of Schroders Live to discuss the outcome on the EU Referendum and the potential implications on the UK and European Markets. We will have a special guest host joined on the panel by Schroders’ European Economist, UK and European Fund Managers. We may now have reached a watershed in global central bank policy co-ordination. It remains to be seen whether the Federal Reserve will be able to leave interest rates at a level which, while appropriate for the global backdrop, may be increasingly inappropriate for the domestic US economy. In our latest webconference, Alan Cauberghs will explore whether the current uneasy truce between central banks and markets will persist and the implications for fixed income investors. We have been building relationships with UK pensions clients for over 60 years and offer a comprehensive range of products and services that are appropriate for the requirements of, and designed specifically for, UK pension schemes.